Allowed types: gif jpg png txt rtf html odf pdf doc docx ppt pptx xls xlsx xml avi mov mp3 ogg wav bz2 dmg gz jar rar sit tar zip csv. Make faster, more confident decisions – with the most advanced cloud-based analytics solution on the market today. Experience the future of decision making. From financial planning to sales and marketing, SAP Analytics Cloud helps businesses make end-to end decisions with confidence. Get the full picture by connecting to on premise and cloud data sources across all lines of business, with either Live or Import Data connections. Clean and model your data with first-class data wrangling functionality built right into the application. Machine learning helps to enhance your data even faster by suggesting transformations and automating workflows. Business reporting has never been the same. Create dynamic visual stories based on your key business areas. 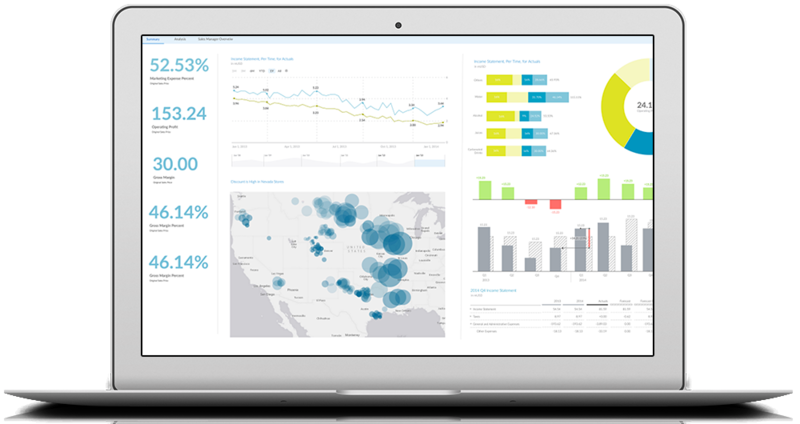 Interact with visualizations and drill down for more detailed information. WHAT IS SAP CLOUD ANALYTICS ALL ABOUT ? Automatically discover the main business drivers behind your core KPIs. Reveal hidden insights and develop a clear understanding of your business data. Enhance your data quickly with intuitive suggestions during data preparation and automation of repetitive workflows. Automatically segment your data based on parameters that you specify.